Hebrew is a perfect complement to undergraduate majors and graduate studies in a range of fields, including Comparative Religion, Comparative Literature, Jewish Studies, International Studies, Linguistics, International Business, Communications, Near Eastern Language and Civilization, and Anthropology. Modern Hebrew courses at the UW are offered primarily through the Department of Near Eastern Languages and Civilization. However, some opportunities exist that may not be self-evident from the UW Time Schedule. If you’re not sure how to find the course that’s right for you, contact Professor Naomi Sokoloff. There are plenty of options! Our students range from absolute beginners to PhD students who have themselves become professors of Hebrew. UW offers a full-year sequence of Elementary Modern Hebrew (MODHEB 101-102-103) and a full sequence of Intermediate Modern Hebrew (MODHEB 201-202-203). Note that parallel graduate sections are also available. Each summer, the UW offers Intensive Elementary Modern Hebrew (MODHEB 105), an intensive course that in nine weeks covers material equivalent to MODHEB 101-102-103. This course is also open to high school students in 10th grade and above; students from other colleges; and community members. Note that non-matriculated students need to apply to the UW’s Summer Quarter before they can register for courses. UW offers a range of courses designed for students at the third year level and beyond. These classes are open to students who have completed MODHEB 103 at the UW, to students who have studied elsewhere and have skills equivalent to or more advanced than MODHEB 103, and to native speakers. These courses include Introduction to Hebrew Literature (MODHEB 401-402-403), Hebrew Poetry (MODHEB 404), Hebrew Fiction (MODHEB 405), Hebrew Poems and Prayers (MODHEB 406), and Hebrew in Song (MODHEB 407). Learn more about these classes here. Students may additionally register for Independent Study credits (MODHEB 490). For example, students enrolled in a literature-in-translation course taught by Professor Sokoloff may choose to do some of the reading in Hebrew, complete some extra assignments (such as writing compositions in Hebrew), and earn 2-3 additional credits along the way. Please contact Professor Sokoloff about courses suitable for this arrangement. 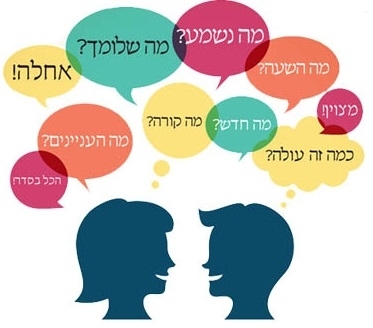 Did you grow up speaking some Hebrew at home, but never really learned to read and write? Did you study Hebrew in Israel or elsewhere and are unsure which level Hebrew class at UW will work for you? Please contact Professor Sokoloff for help assessing your skills and for advice on placement. Modern Hebrew classes are available to non-matriculated and Access students on a space-available basis. Learn more about registering as a non-matriculated student here, and as an Access student here. Additionally, individuals applying for admission to undergraduate programs at the University of Washington are required to have completed two years of high school foreign language classes. Those who have not met this requirement (and thus have a “deficiency” in their application), may take a test to demonstrate sufficient knowledge of Modern Hebrew. Learn more about the process here. Another resource that may be helpful: our on-line learning tools, available to UW students through the Language Learning Center’s Moodle site. These materials include vocabulary lists, sample sentences, reading passages, listening exercises, grammar exercises, and quizzes to accompany the material covered in Elementary Modern Hebrew. Serving as courseware for students in MODHEB 401-402-403, the Moodle materials are also open to any enrolled students. All you have to do is set up an account with a user name and password through LLC. Some students who don’t fit easily into MODHEB 401-402-403 have worked with these materials to earn Independent Study credits. For more information, contact Professor Sokoloff. Visit Professor Sokoloff’s blog to learn more about the Modern Hebrew language, Israeli culture, and the Modern Hebrew program at the University of Washington. A two-year sequence in biblical Hebrew language offered in the Department of Near Eastern Languages and Civilization at UW counts toward a degree in Jewish Studies. The inductive method employed in biblical Hebrew language classes allows students to read solely from the Hebrew Bible (Old Testament) by the end of the second quarter of the first year. Thereafter students take courses on biblical Hebrew prose texts, biblical poetry, and ancient inscriptions. The final quarter of the second year is typically devoted to biblical Aramaic or some other course of interest to students of ancient Hebrew. After completing BIBHEB 101, 102, and 103, students may take higher level BIBHEB courses (i.e., BIBHEB 201, BIBHEB 202, BIBHEB 203) in any order. For a complete list of courses, a series of online learning tools for the study of biblical Hebrew, relevant course websites, and resource sites for those who want to study the Hebrew Bible in greater depth, please see here or contact Professor Scott Noegel.